Prostate 5LX Review: Is it the real deal? Prostate 5 LX is an answer to common prostate issues which is all-natural; however, it is effective without the annoying side effects. All of its components are obtained from nature and were hand selected to specifically promote a healthy prostate during the aging process. The New Chapter company says that this combination is to bring relief to men suffering from symptoms of prostate diseases including prostate cancer, benign prostate hyperplasia, and prostatitis. These symptoms usually range from frequent wiz trips to the bathroom all night, urine dribbling, and, in some cases, painful urination. Many of the medications offered on the modern market which shrink prostate inflammation end up causing unwelcome side effects. They pretty much destroy the libido and snuff sexual performance out. The berries of Saw Palmetto have been used by indigenous Mayan peoples for many centuries. It has been discovered that properties from these berries can decrease prostate inflammation and prevent hormone imbalance based form of prostatic cancer. 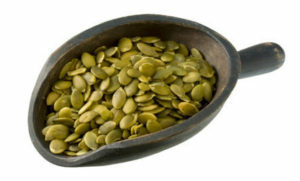 Pumpkin Seed compounds were recently investigated by Hungarian scientists. They revealed these berries to possess anti-inflammatory properties. These components were found to assist individuals in better voiding the bladder and improve urine output by increasing its flow. Scientists believe that a man’s risk of being diagnosed with prostatic cancer drastically increase when he is selenium deficient. Evidence also demonstrated that the prostatic cancer mortality rate can be reduced by half with selenium supplementation. Extracts from rosemary and ginger have powerful anti-inflammatory properties which can reduce enlargement of the prostate gland. 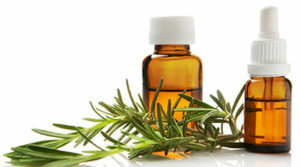 Both of these herbal weapons can prevent carcinogenesis in prostate tissue. The indication on the box says to swallow two capsules before bed or upon rising as long as it is accompanied by food. The properties in Prostate 5LX have each been scientifically examined. All of New Chapter’s ingredients are obtained from natural sources. There is an abundance of positive feedback from those who have used it. The company offers refund for dissatisfied consumers. Potential customers can visit the New Chapter website to use the store locator tool. There are no clinical trials for the end formula of Prostate 5LX to review. This supplement is costly compared to others in its class. There are a number of websites as well as actual stores that offer this supplement. The New Chapter company website offers web surfers a store locator tool for finding purchase places. The cost ranges from $30 to around $35 for a 60-count bottle and it should last one month. All of these have been verified by the scientific world though there are no studies about the specific formula in Prostate 5LX. There are more positive than negative reviews by far. New Chapter offers a complete refund on this product, but it must be obtained through the website. Prostate 5LX appears to offer cancer prevention and health supporting potential although it is expensive.